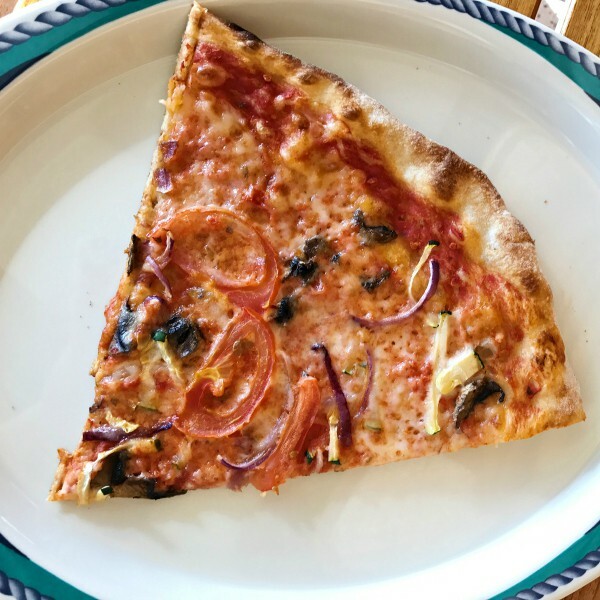 I’m sharing all the details Where to Eat on a Ruby Princess Cruise Ship, from my recent cruise to Mexico along the Mexican Riviera! Friends, on our recent Mexican Riviera Princess Cruise on the Ruby Princess ship, we were treated like royalty. 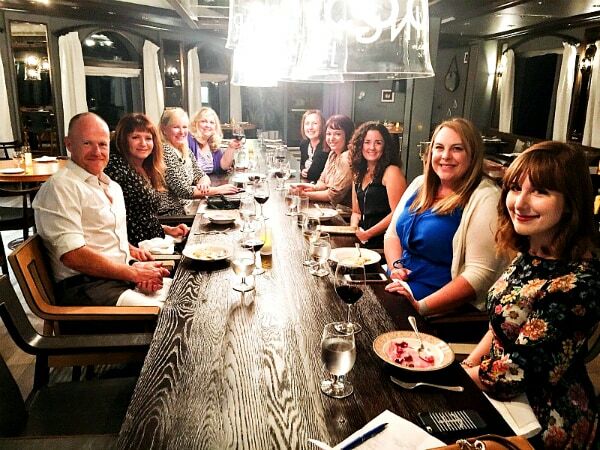 We had so many delicious dining experiences, it’s hard to know where to start. 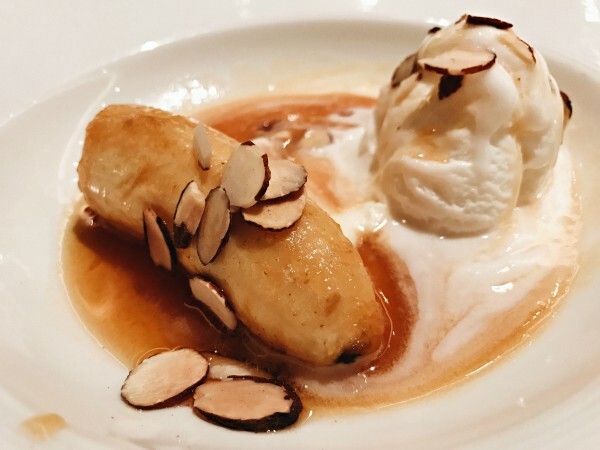 Dining onboard a Princess cruise ship is a delightful culinary journey, with every dish “designed for fresh.” Today I’m sharing some of my highlights, taking you on a mini foodie tour. Dining on board a Princess cruise ship is a joyful celebration, crafted to exceed even the most discerning appetites. 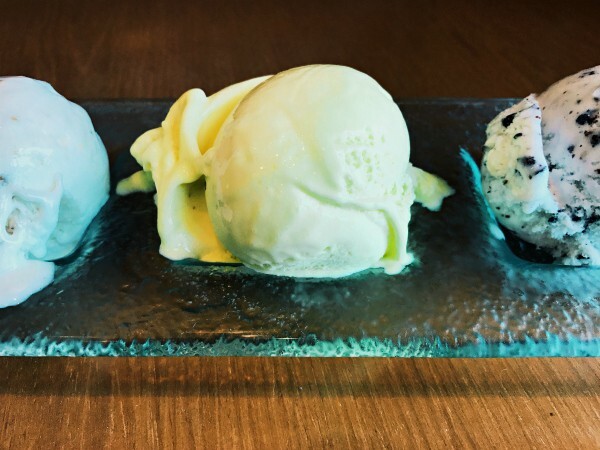 Breads are baked 24-7, sauces made from scratch using the finest ingredients, steaks are aged and hand-cut on board, and homemade ice cream is offered every day. We also enjoyed our daily gelato at the International Cafe. From hand-tossed pizzas to multi-course gourmet meals, the food was continually enticing, with so many dining options throughout the day. First of all, for the dining room, you can choose “Traditional,” where you enjoy your meal the same time each day, with attentive service provided by your own waiter throughout the cruise. Or, there is “Anytime” dining, which means you aren’t limited to eating at a fixed time or place on the ship. 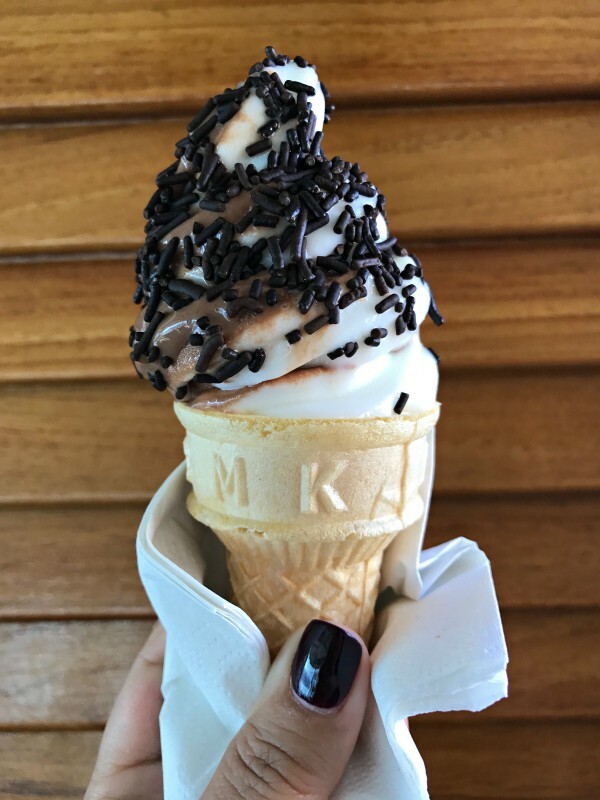 Instead, the choice of when and where you want to eat is flexible, based on if you choose to eat at specialty restaurants, when you return from excursions, etc. 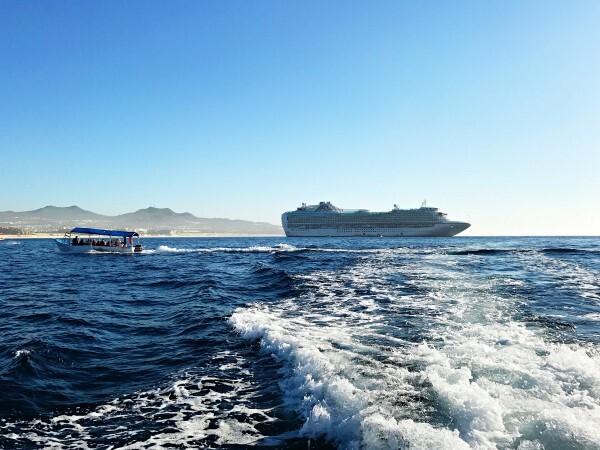 Chef Curtis Stone and Princess Cruises share a passion for bringing people together through food that creates happiness around the table, which is really my mission here at RE! So it was appropriate that our first night was a fabulous kick-off dinner at Curtis Stone’s specialty restaurant, SHARE. Curtis Stone is an award-winning chef and restauranteur, and has partnered with Princess Cruises to feature his dishes (enticing charcuterie, composed salads, handmade pastas, premium quality meats, and an array of decadent desserts) on several of their ships. The decor and design, with fabulous lighting, the mirrors and decor—for a minute there, I forgot that we were on a cruise ship! 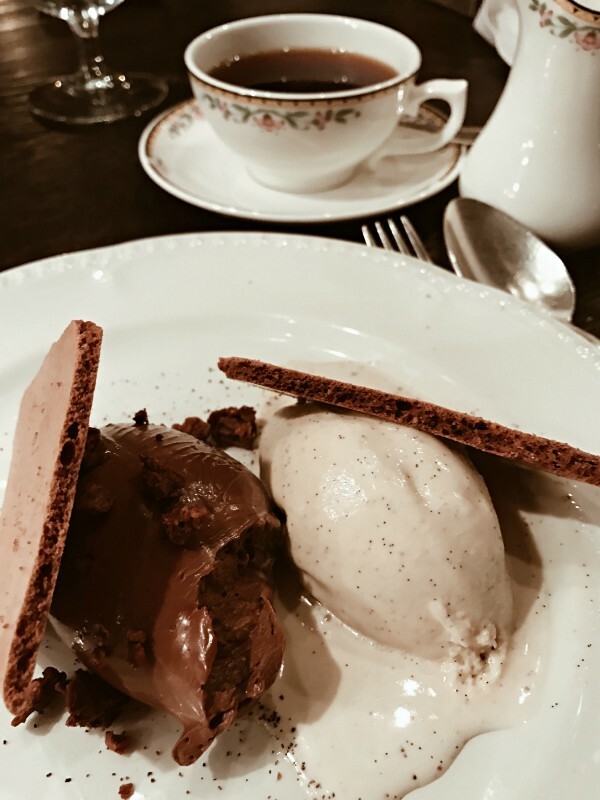 We truly enjoyed this meal, ending with an eloquant chocolate Toasted Hazelnut Feuilletime, with Burnt Vanilla Bean Ice Cream dessert with coffee. The perfect ending to our first day on the ship! 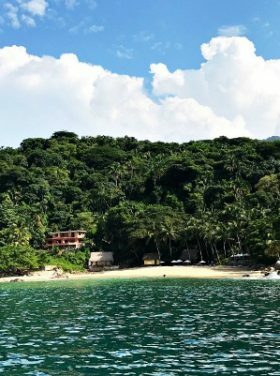 My favorite day was lounging up on the top deck with a handful of friends, enjoying the last day of warm sunshine and the ocean breeze. 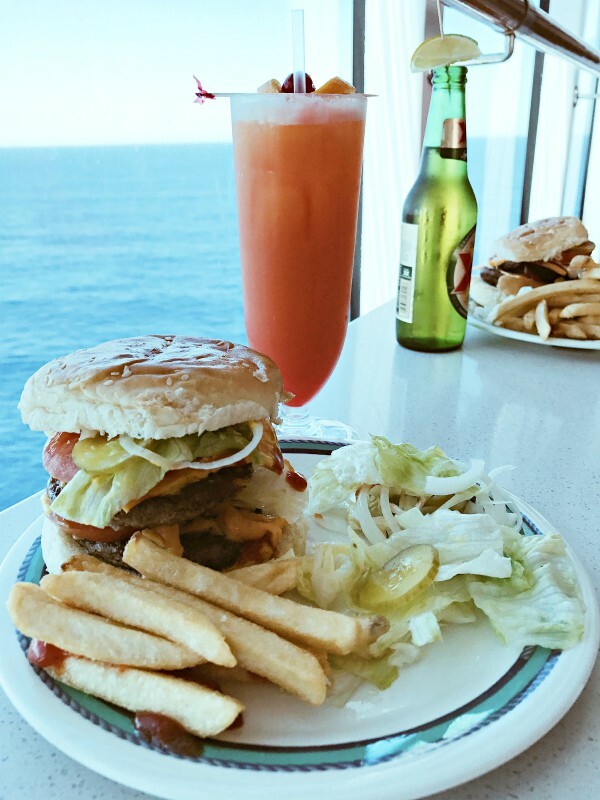 We then enjoyed a burger and my favorite Princess Cruise cocktail, a Tequila Sunrise. Perfect for the last day on the ship! Thank goodness there are plenty of places to power walk on the ship, or to enjoy the fitness center (which we did daily). And did I mention, you can get pizza any time of the day? 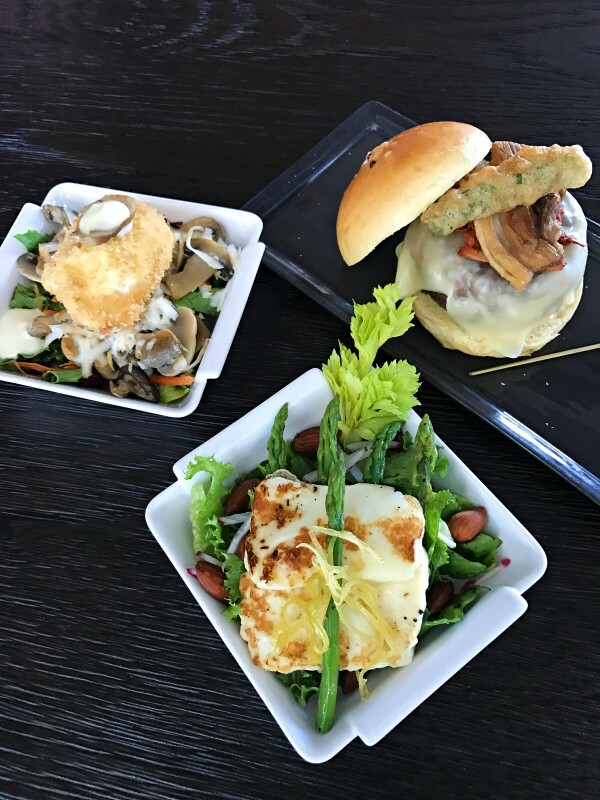 Dinner one night was at The Salty Dog Gastropub, developed in collaboration with Ernesto Uchimura, a founding chef of the original Umami Burger and Plan Check Kitchen + Bar, which offers a gourmet twist on several traditional pub favorites. We couldn’t get enough of their gourmet burgers, fries, fondues, and delicious salads–all a twist on classic foods. Not only is there a fun vibe to the place, they have live music at night with tall tables, perfect for our large group! 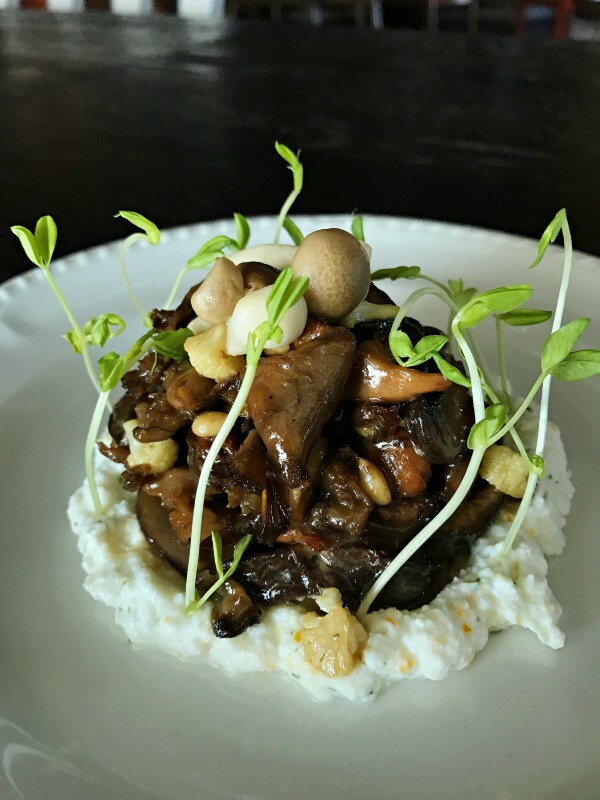 One of my favorites: Wild Mushroom Ragout sitting on top of a cauliflower purée, with pine nuts and bitter greens. 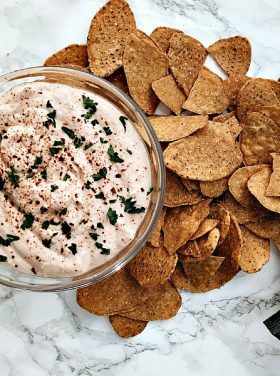 I’m dying to make this at home, a mouth-watering vegetarian dish that I know some of my family will love (since we’re trying to eat more plant-based recipes this year). The Crown Grill has been awarded “Best Cruise Ship Steakhouses” by USA TODAY! And now I know why! This was our last dinner we ate on the ship, and one of our favorites. We met new friends, and enjoyed one of the best steak dinners we’ve ever had! How can you get better than those 2 things? Remember you have to get a reservation in advance for the speciality restaurants, and put this one on your bucket list for sure! The first course of Blue Cheese French Onion soup, oh my! 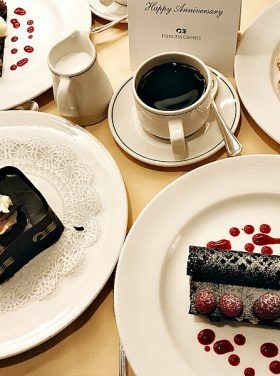 And then dessert? 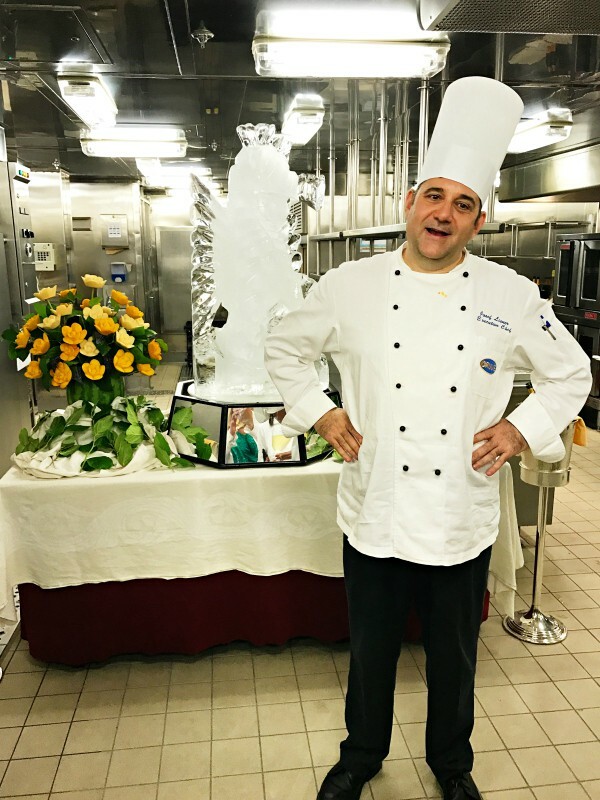 The Chef’s Table is literally a behind the scenes foodie tour, being welcomed into the inner sanctum of the ship’s galley to enjoy a full evening of memorable sights, tastes and conversation–and plently of sampling, hosted by the executive chef. 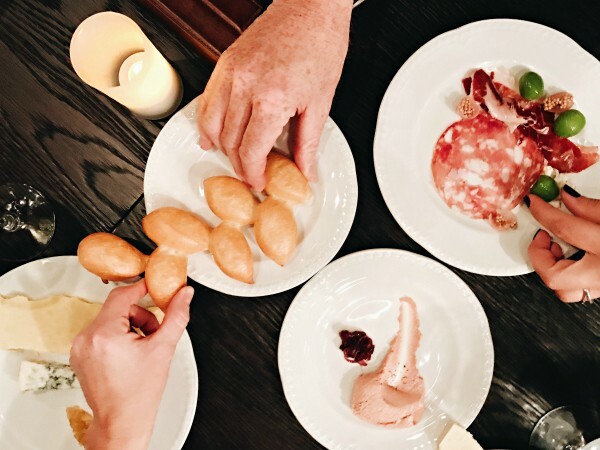 The Chef’s Table begins when the Maitre d’ personally escorts the passengers to the galley, where they can observe the dinner-hour prep and meet the executive chef, plus nosh on fabulous appetizers. 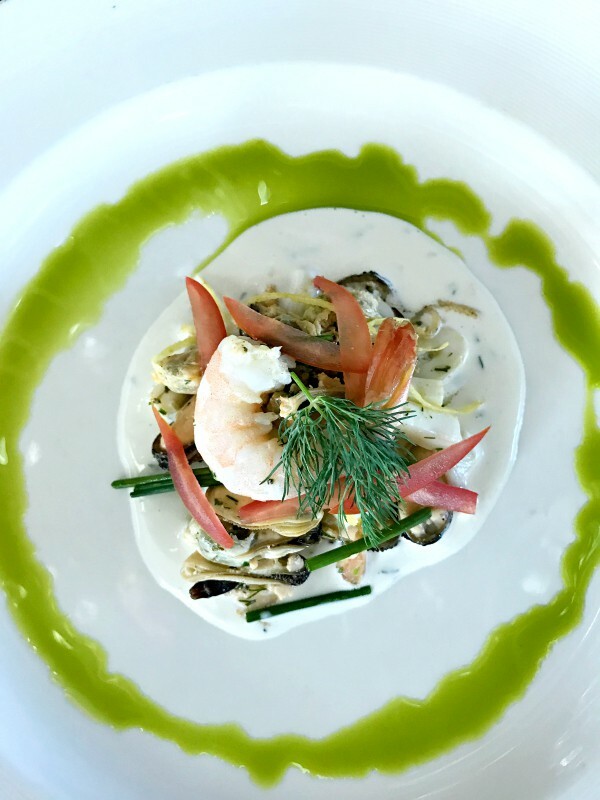 We learned so much about how the Chef decides the menu, brings in seasonal foods, makes them gourmet, and adds a showcase of indigenous ingredients from the most recent port–perfectly hot and fresh for every guest. 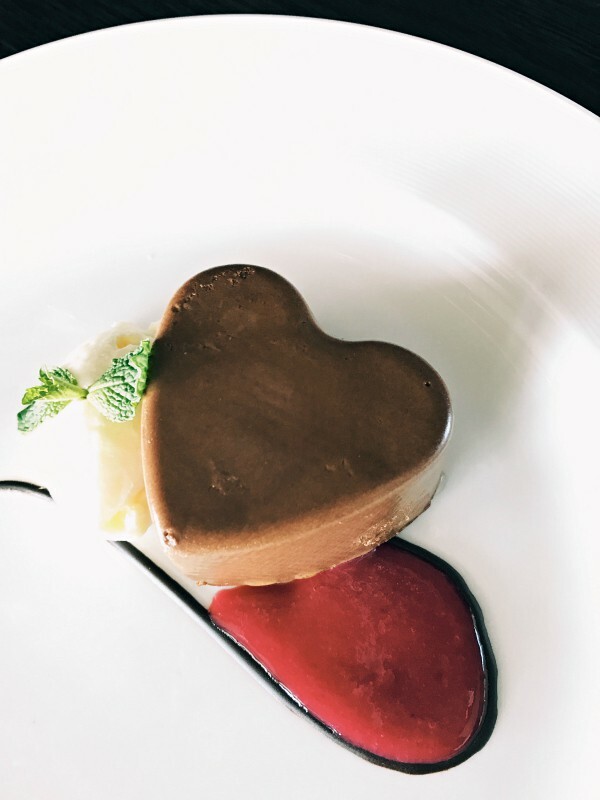 My husband and I were so impressed, as we enjoyed champagne and hors d’oeuvres, followed by a special multi-course tasting dinner, paired with selected wines in the dining room. During the dessert course, the chef rejoins the group at their private table to participate in a discussion about the evening’s meal, answer questions, and share culinary secrets, ending with a personalized, autographed copy of Princess’ best-selling cookbook, Courses, A Culinary Journey, which has sold more than 100,000 copies worldwide. We highly recommend getting reserveations for the Chef’s Table, possibly the last night on the ship? 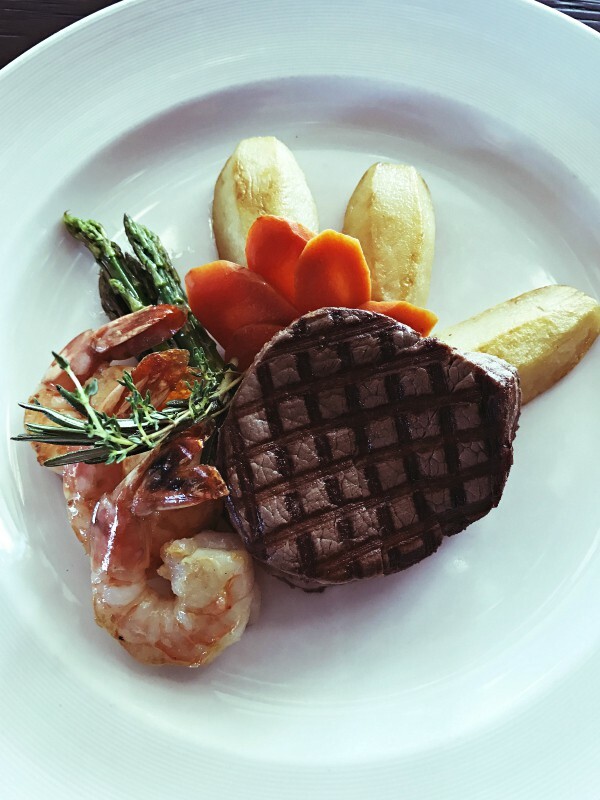 It’s a great way to end the cruise, and so very special for those who appreciate fine cuisine, and all the details involved. Every morning, my husband and I would stroll down to the International Cafe. That is, if we were not enjoying breakfast in bed. 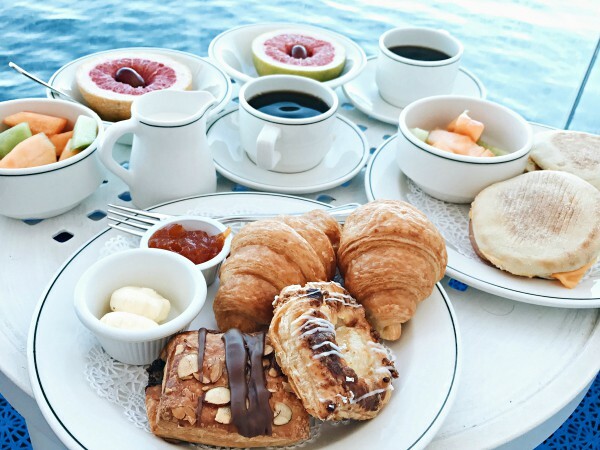 They also have a fantastic morning menu if you want to enjoy food on the deck of your stateroom. 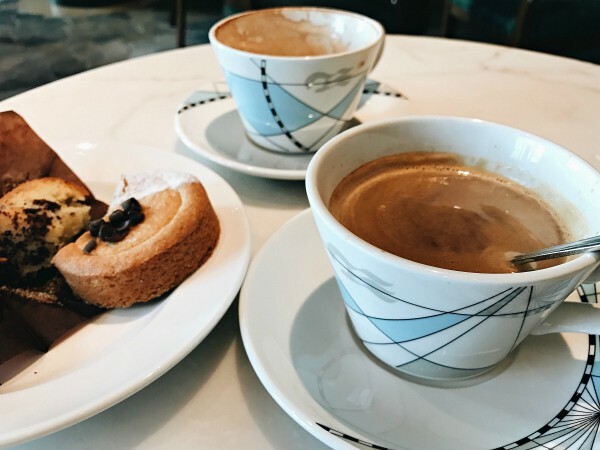 Espresso and pastries, or in our case, we’d get our favorite egg sandwich. Light, cooked to perfection, and a great way to start the day! We also had a favorite happy hour place where we’d meet friends for a glass of wine, a beautiful view, and the best cheese and olives! We loved our waiter, Sebastian! Actually, no matter the time of the day, this place was a little slice of heaven. 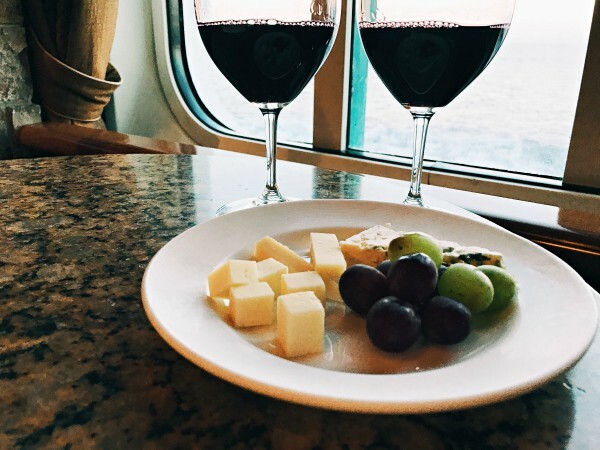 Our experience on board the Princess Ruby was not only luxurious, it was relaxing, rejuvinating, and we really did feel like we came back new. Eating, drinking and visiting with our friends was perfect! With some of the freshest cuisine, that helps build connections to our world (we loved meeting so many new people from different countries on the ship), Princess helped us discover new experiences, with delicious foods, wines, and new friends, and definitely inspired my husband and me to Come Back New.